Looking for a job in Fairfax County Virginia? Worklooker's Fairfax County job directory provides employment resources for job seekers. Please visit the links below to view current open positions. Fairfax County is an excellent resource to watch for ongoing job openings. A survey of open positions found on this review date included Administrative Assistant, Animal Protection Police Officer, Behavioral Health Outpatient Senior Clinician Case Manager, Behavioral Health Supervisor, Human Resources Business Analyst, Child Care Specialist, Circulation Manager (Library Assistant III), Electrician, Emergency Services Psychiatrist, Firefighter EMT, Fire & Rescue Jobs, Firefighter Medic, Human Service Worker, HVAC Technician, Information Officer, Inspector, Mental Health Therapist, Motor Equipment Operator, Network/Telecommunications Analyst, Park/Recreational Specialist, Parking Enforcement Official, Planner, Police Officer, Public Health Nurse, Substance Abuse Counselor, and Victim / Witness Coordinator / Probation Counselor. Check for updates. 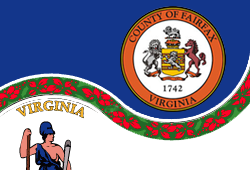 The City of Fairfax, Virginia, is an independent city in the Commonwealth of Virginia. The city often hires for a variety of positions. Opportunities found on this review date included Planner, Police Officer, Summer Camp Positions, Parks Laborer, Street Division Assistant, Custodian, Temporary Administrative Assistant, Fire Medic, and Firefighter EMT. Visit their site for current listings. City of Falls Church operates under the Council-Manager form of government with a population of 12,332. Here positions are periodically posted such as finance jobs, human resources jobs, library jobs, maintenance jobs, Payroll and Benefits Specialists, Preschool Aides, Recreation Instructors, Counselors, Summer Camps Jobs, Swim Instructor, Lifeguards, Public Safety Employment Opportunities, Police Officer Recruit opportunities, Administrative Assistant jobs, and more. The Town of Herndon was hiring. Openings found had included Assistant Swim Coach, Body Pump Instructors, Zumba Instructor, Communications Section Manager, Deputy Director of Public Works, Director of Finance, Group Exercise Instructor, Head Gymnastics Instructors, Lifeguards, Office Assistant, Personal Trainer, Police Officer, Project Engineer, Purchasing Agent, Seasonal Grounds Worker, Systems Engineer, and Water Safety Instructor (WSI). The Town of Vienna has retained a sense of pride in community, and its people have worked successfully to preserve many of the traditions and institutions that give the feeling of living in our own small town. A survey of career opportunities found had included Construction Project Manager, Gymnastics Instructor, Playground Camp Aide, Playground Camp Counselor, and Police Officer. Three airports serve the region. These aiports are Washington Dulles International Airport, Ronald Reagan Washington National Airport, and Baltimore-Washington International Thurgood Marshall Airport. Career opportunities often become available through the Metropolitan Washington Airports Authority. A survey of open positions found had included Accountant, Airport Ambassador (Customer Service Jobs), Airport Police Officer, Business Intelligence Developer IT, Construction Manager, Contracting Officer, Electronics Technician, Firefighter Medic, Front End Digital Signage Developer IT, Geographic Information Systems Developer, Grounds Maintenance Supervisor, Heavy Equipment Mechanic, Heavy Equipment Mechanic, Locksmith, Network Engineer, Oracle Developer, Payroll Progam Manager, Physical Security Technician, Portfolio Manager, Senior Auditor, Server Administrator IT, Supply Assistant, User Interface / User Experience Developer IT, Web and Mobile Program Manager. Northern Virginia Chamber of Commerce is a great resource to use for exploring area businesses, economic climate, workforce information, cost of living, and more. Inova Fairfax Hospital is an 833-bed, nationally recognized regional medical center serving Northern Virginia and the Washington, DC, metro area. Inova Fairfax Hospital provides an exciting and fast-paced atmosphere for professionals looking for a fulfilling career providing quality care to patients. A review of open positions found had included the following jobs that were available: Acute Care Nurse Practitioner, Pharmacy Technologist Jobs, Administrative Specialist, Biomedical Engineer, Nursing Jobs, Business Analyst, Physician Assistant, Cardiovascular Technologist, Case Manager, Mental Health Technician Job, Clinic Receptionist, Clinical Case Manager, Registered Dietitian, PRN Nursing Jobs, Emergency Medical Technician EMT, Forensic Nurse Examiner, Pharmacist, Registered Nurse RN Jobs, Interventional Radiology Tech, Lab Tech, Mammography Technologist, Pharmacy Tech Jobs, Licensed Practical Nurse LPN, RN Jobs, Medical Technologist, Medical Assistant, Blood Bank Medical Technologist, Mental Health Tech, Mental Health Therapist, Monitor Tech, Neurodiagnostic Technician, Nurse Extern, Nurse Practitioner, OB/GYN Hospitalist, Occupational Therapist OT, Operating Room Nurse Specialist, Pediatric Hospitalist, Registered Nurse Telemetry Job, Registered Nurse Surgical RN, Registered Nurse - L & D (PRN), Labor and Delivery Nursing, PACU Nurse RN, Registered Nurse PICU $20K Sign on Bonus, Emergency RN, and more. Dominion Hospital leads the region in short-term mental health services for children age 5-12, adolescents age 13-17 and adults age 18 and older, as well as therapeutic programs for eating disorders through our Reflections Eating Disorders Treatment Center. Careers found had included PRN Per Diem Jobs, Clinical Therapist PRN, Registered Nurse Behavioral Health StaRN Program: Sign on Bonus Available, Behavioral Health Tech PRN, Registered Nurse (Triage and Assessment) Behavioral Health, Quality Risk Manager, Assistant Clinical Nurse Manager, and more. Northern Virginia Mental Health Institute is an in-patient state psychiatric hospital located in Falls Church, VA that provides contemporary psychiatric care to individuals in acute phase of mental illness. Northern Virginia Mental Health Institute had open positions for Psychiatrist, Food Service Worker, Electrician, Interpreter, Clinical / Forensic Psychologist, Registered Nurse II, Registered Nurse I, Unit Psychologist & Pre-Trial Coord, and Security Officer. Reston Hospital Center is a full-service, 187-bed acute care medical and surgical hospital. Openings founf had included Registrar for Reston Hospital, Inpatient Occupational Therapist PT Reston Hospital, RN Mother Baby Post Partum PRN, Registered Nurse Medical/Oncology Unit Nights, EVS Housekeeper, Registered Nurse NICU PRN, Registered Nurse Medical/Oncology Unit PRN, Critical Care Nurse Manager, Nurse Technician PRN, CT Technologist, RN Labor and Delivery Nights, OR Surgical Technician PRN, Hostess PRN, and more. Fairfax Nursing Center was hiring for the positions of Certified Nursing Assistant CNA *$500.00 sign on bonus, Safety CNA (Double weekend shifts), Restorative Aide, Primary Care Nurse (FT and PT) *$750.00 sign on bonus, Night Shift Nursing Supervisor, Quality Assurance Nurse RN, Dietary Aide Hostess, Unit Secretary, Environmental Services Aide, and Activities Assistant. Fairfax County Public Schools offers employment opportunities for teachers and support staff. A survey of open positions found had included Physical Education Teacher, PE Teacher, School Administrative Assistant, Art Teacher, Assistant Principal, Audiologist, Auditor, Band Music Teacher, Benefits Specialist, Biology Teacher, Budget Analyst, School Bus Driver, Career and Transition Teacher, Chemistry Teacher, Custodial Jobs, Chinese Language Teacher, Culinary Arts Teacher, School Custodian, Database Engineer, Deaf - Hard-of-Hearing Teacher, Early Childhood Health Specialist, Emotional Disabilities Teacher, English Teacher, ESOL Teacher, Headstart Teacher, Food Services Worker, General Science Teacher, Geosystems Teacher, German Language Teacher, Grades 1-3 Teacher, Instructional Assistant, Intellectual Disabilities Teacher, Librarian, Mathematics Teacher, Multiple Disabilities Teacher, Occupational Therapist, Office Assistant, Physical Ed Teacher, Physical Therapist, Preschool Teacher Special Education Autism, Preschool Teacher, Reading Teacher, School Counselor, Severe Disabilities Teacher, Speech Language Pathologist, Substitute Teacher, Transportation Van Driver, and Visual Impairment Teacher. During review Trinity Christian School TCS was accepting resumes for all positions K -12. Positions found had included Upper School Principal, Assistant Facilities Supervisor, Varsity Swim Assistant Coach, and Varsity Boys Lacrosse Assistant Coach. LePort Montessori Fairfax periodically hires Assistant Teachers & Aftercare Support, School Office Jobs, Head Teachers, and School Leadership & Administrative Support. The Appletree School is a faith-based environment that emphasizes the importance of character development and academic preparedness. Rise and Shine Preschool Center periodically hires preschool teachers and support staff. The school offers infant programs, toddler programs, and preschool programs. Congressional School serves infants to eighth graders. During review there had been openings for Part-Time Teaching Assistant (Infant - Toddler), Maintenance Technician, and Human Resources Manager. Check for current listings. The Jewish Community Center of Northern Virginia (JCCNV) is a nonprofit, social service organization dedicated to offering quality programs, activities and services that emphasize Jewish culture, identity and values to people of all ages and backgrounds. Open positions found had included BASE Shuttle Bus Driver, Full-time Teacher, Substitute Teacher, Dance Instructors, USA Swimming Head Coach, Part-time Special Needs Shadows, Before- and After-School Enrichment (BASE) Jobs, BASE Program Coordinator School-Age Services and Day Camps, and more. George Mason University has made impressive strides. Today, as Virginia's largest public research university, they are setting the benchmark for a bold, progressive education that serves the needs of students and communities. Here you'll find Faculty employment opportunities, Classified Staff employment opportunities, and Hourly employment opportunities. NOVA is the largest public educational institution in Virginia and the second-largest community college in the United States, comprised of more than 75,000 students and 2,600 faculty and staff members. The Fairfax County Sheriff's Office hires for the position of Deputy Sheriff and for a variety of support staff positions. Typically positions are advertised on the county job board. Their recruitment page provides information for how to become a Deputy Sheriff. Applications are accepted to establish an eligibility list for Police Officer positions in the City of Fairfax Police Department. Police Officers work 12-hour shifts, including weekends and holidays. After police academy training officers make over $50,000 annually. Do you think you may be interested in becoming a fire medic? A career in the City of Fairfax Fire Department is very rewarding and provides an environment where each day has new challenges. Virginia Workforce Connection is an excellent resource for employment and market information in Virginia. Washington Post Jobs provides an updated database of job listings. Virginia Career VIEW (Vital Information for Education and Work) provides career and education resources to students, parents, jobseekers and educators. The site offers extensive information on occupations, online career assessment tests, and college financial aid.